Vanilla Latte : A delightfully smooth and creamy latte with delicate hints of vanilla. You&apos;ll want to savour every sip! 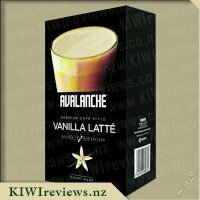 I have never tried a vanilla latte before be it at a cafe or in an at home variety like this however I have tried the other varities in the avalanche range and loved them so was keen to give this vanilla latte a go. I do have a bit of a sweet tooth so usually opt for a mocha or a caramel latte for the extra level of sweet over a flat white or cappucino. My nearly 16 year old is also a big fan of caramel latte&apos;s so I thought she might enjoy these too. 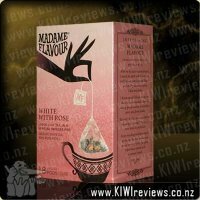 I loved the smell of the vanilla when I added the hot water to the cup with the sachet it immediately smelt sweet and inviting and I couldn&apos;t wait to try my first sip. A little different at first than I was used to but I really enjoyed it it was like a cross between a vanilla milkshake and a hot coffee quite a unique but enjoyable taste. My daughter loved them and proclaimed we must always buy the vanilla lattes now not the caramel. I went to have my second cup and noticed the box was half gone she enjoyed them that much. 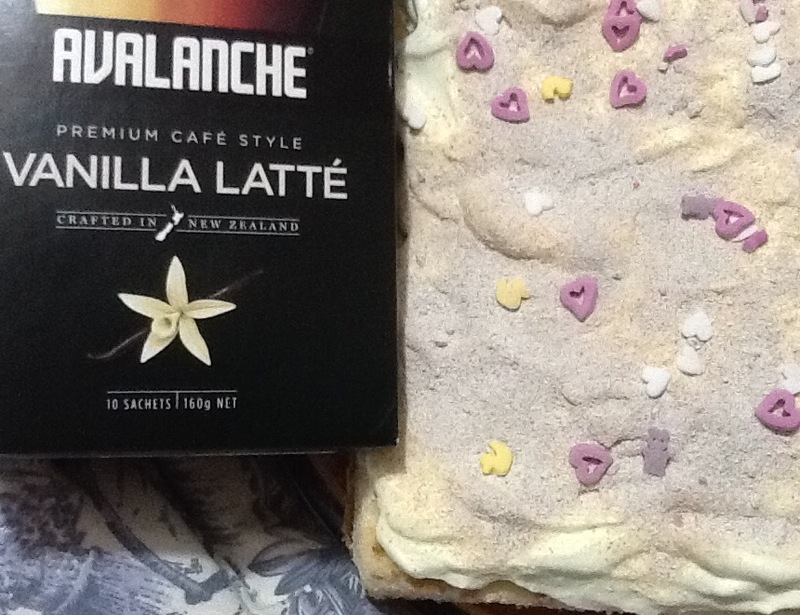 I do love how the avalanche cafe style range is easy to make and the powder stirs in quite easily, I am not a fan of the powdered coffees that come out with lumps no matter how much you mix them. They are a good price and I often see them on special at my local supermarket so choose to buy these over the more expensive brands like nescafe or moccona and actually prefer the taste of these too. 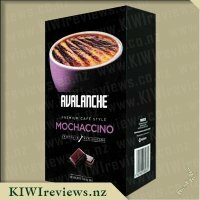 A great at home treat coffee that I will definitely and have already buy again! I am a bit of a fussy coffee drinker with very precise "ways" I can drink my coffee and be able to enjoy it. The main point about this, is that I can&apos;t drink coffee that is made to strongly. I have therefore found it a great option to have coffee sachets at work so that anyone can make my coffee - I&apos;m an early childhood teacher so when someone has 5minutes spare to make a coffee you either take the opportunity or miss out until what could be hours later some days! Vanilla latte, in another brand, is my ultimate favourite and has become my go to. I&apos;m almost to scared to try other options incase I don&apos;t like them as much and I&apos;ve then "wasted" my money. 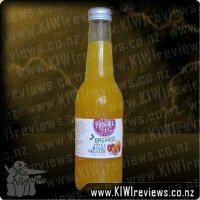 Seeing another brand on the market with the same flavour and a lot cheaper in price I was very interested to try this product out and see how the taste compared to the other brand I use. First impressions upon immediately opening the box to try my first coffee was that I really liked this packaging; it seems really sturdy yet is eye appealing and looks different to others on the market so you are easily able to spot it amongst the crowds on the supermarket shelves. I also really liked each individual packet of coffee, again it has sturdy packaging that is quite wide which I liked. The reason for this being that when you go to pour the coffee from the individual packet into your cup it all flows smoothly and you get it all in the cup. Another success to this is that when you rip the tab by the "tear here" instructions it really does tear exactly there and the whole top comes off. Again this means that all your coffee ends up in your cup and not all over the kitchen bench. 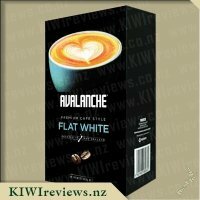 In this regards I would buy this product first and foremost before any other brand; Avalanche truly have the secrets all mastered which has resulted in user friendly packaging! Upon pouring the product into my coffee cup, the powder looked just like I expected. Pouring in the water and stirring meant that the coffee frothed up just a little bit; quite a bit of stirring is needed to get rid of all the lumps. Upon tasting personally I found this coffee blend to be quite weak which given my earlier explanation really surprised me! It tasted and almost felt (texture wise) a bit like it had been watered down somehow. Flavour wise in terms of the vanilla - it was definitely there and tasted nice - it was just the coffee hit and taste that was lacking. Taking the box of these to work meant I got a range of opinions and based on my thoughts and the mixed reviews from my team mates I strongly believe this comes down to individual taste! These sachet coffee&apos;s are great for a fancier coffee at work, where there is no coffee machine, or on a picnic with your thermos of hot water! 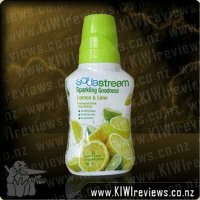 My husband is on the road all day long so these are great for him, he can bring his flask of hot water, and simply add a sachet to a cup when he fancies a refresher break. This is a simple to use product, open your sachet pour in your hot water, and you are all set for a &apos;fancy&apos; coffee. The first impressions on trying this was the smell, it had a mild vanilla aroma, and it was a good clue, of the flavour to follow. The coffee colour was pale, giving an indication of a mellow flavour, and it had that creamy consistency that you would expect from a &apos;real&apos; coffee rather than an instant coffee. 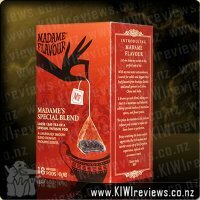 The flavour itself, hit the right spot for me, I like mellow coffee, and this was the perfect flavour for me, the vanilla could be tasted through the coffee, but had the right balance of sweet, but not to flavour laden. When I asked my husband to describe his coffee he said the best way was &apos;warm vanilla ice cream&apos; which I thought was a fairly apt description! For him the coffee was nice, but not the best instant sachet packet he had ever tried, but you can&apos;t please everyone! I had a similar mixed reaction on taking the rest to work as some of my colleagues loved them, and others wanted more of a flavour hit. I would personally buy these again, but probably when they come on special rather than being brand loyal to them, they were great but not I&apos;ll never buy another kind of coffee again, great! 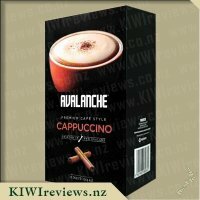 Just as an advance warning I am a cafe/coffee/true brew fan and I have tried this product twice now but I think I will not drink the rest but give it to willing guests who seem to like these milder coffees that taste like hot flavoured milk. The first time I didn&apos;t read the instructions to only add 150ml of hot water so it was a bit of a watery disappointment. The second time was better but I am still not totally sold on the strength and flavour it delivers. First of all, I will admit I have never been a fan of the "just add water" coffee mixes. I have been given them in a few households where they think it is not ok to give you nescafe (very true!) but they don&apos;t have a coffee machine or coffee love. The texture does not compare to a cafe coffee (and it does say "cafe style" on the box so I was disappointed. I found this product mild and probably suitable mostly for an after dinner coffee with a sweet treat to hide the blandness. I like my coffee with a lot more kick and this didn&apos;t really deliver for me. The vanilla was there but only a bit and if definitely didn&apos;t look like the picture on the box. I don&apos;t know if it was unfair to compare this to a coffee machine coffee with steamed milk and vanilla syrup but that was what I had in my head and this didn&apos;t quite meet the mark. As I am probably not a fan of these "instant" style coffees I think I will stick to the plain old coffee machine coffees for that proper coffee taste in future. Vanilla latte is one coffee I enjoy when I go out to a cafe when I am not in the mood for a strong coffee and looking for that sweeter hit due to not having sugar in my coffee so the vanilla is a nice twist. I read the instructions and boiled the kettle but stopped it before it boiled as it says hot but not boiling water. I added no milk just water and thought it provided it owns great milky taste within the packet mix. There was some froth that sat on the top but nothing like the picture on the box. Flavour wise I thought it was nice but also mild in flavour which would suit me on days where is do not feel like that strong coffee hit, which is normally my first two coffees for the day. This would be more a lunch time coffee for me or a late afternoon coffee. 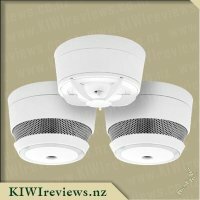 I took the box to work to let a couple work mates try them to see what they thought and the reviews were similar to me. I find my work mates tend have strong coffee in the morning but by afternoon prefer a mild coffee just to get them through the afternoon but not keep them up at night. One work mate said the flavour had the right amount of vanilla taste to it and another said it was not enough. I guess this comes down to personal choice and everyone enjoys there coffee differently. Some prefer sweet, some prefer it hot, and some prefer it milky. For the price of the box though it is great value considering you buy one latte at the cafe for the same price. And then if you add vanilla some shops charge between 50 cents to two dollars a shot. So value wise you are saving a lot for the pocket. When I tried this variety, I was not sure whether or not I liked it. It was pleasant enough but did not have the kick I expect from a coffee - I think it might be nice for someone who does not like coffee too strong, but has limited appeal for someone like me who enjoys a strong brew. I had a group of friends who had offered to try it and give me some feedback, so I gave them each a sachet and waited for their reports. Like me, they too were divided on what they thought of this variety. Two really liked it although they thought the vanilla was too subtle to be tasted properly. 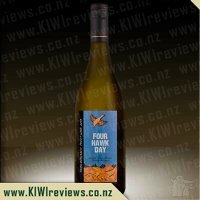 One thought it was a pleasant enough drink but lacked a strong identity. The last two did not like it at all as they found it too weak: one described it as insipid while the other thought it might have been better with less water than the recommended amount. However, all that was about to change. I was intrigued by the possibilities I could explore with the muted flavours and the attractive pale brown colour. I looked at different hot drink options but none of them really appealed. And then my daughter mentioned that we would be having a family party at the weekend and asked if I would bake something. That was the inspiration I needed. Time was tight so instead of making a basic sponge cake, I bought a plain one. Cheating, but all in a good cause! I covered the sponge with fresh whipped cream and then scattered half a sachet of Vanilla Latte on top. It was a light colour to start with, but as the moisture from the cream soaked in, the shade deepened. One of the children put a few sprinkles on top as well, and in three minutes from start to finish we had made one of the most delicious cakes we had ever tasted. Everyone liked it, from Miss Five right up to the oldest family member who is almost 80. I think I have invented a new family classic! After my success with the cake, I tried it stirred into vanilla custard (yum!) as a dry powder, and as a double strength drink left to chill and then served with a double shot of Tia Maria with ice. It is a good thing it is winter because I would be seriously tempted to have another one of those. Or two! So I will be thinking outside the square for the ways I can serve this variety. It has proved to be much more versatile than I originally thought! Sipahh is a milk flavouring straw that wakes up milk. It makes milk fun and helps ensure kids get the vital calcium they need in their diets. Simply dip into cold milk, Sip, and say Ahh! Every Sipahh milk flavouring straw is filled with our special UniBeads that contain all the flavour and excitement that Sipahh delivers.